It's bananas b-a-n-a-n-a-s! Do you remember that song by Gwen Stefani? Ha! This is the first time in a long time I have been in the kitchen baking and it felt good. You may not know this about me but I love to bake. Once upon a time I even use to decorate cakes! Not to the magnitude of Duff or Buddy but any-who, it just felt good to be baking again. If you have never made bread before, you will be shocked at how easy it really is. 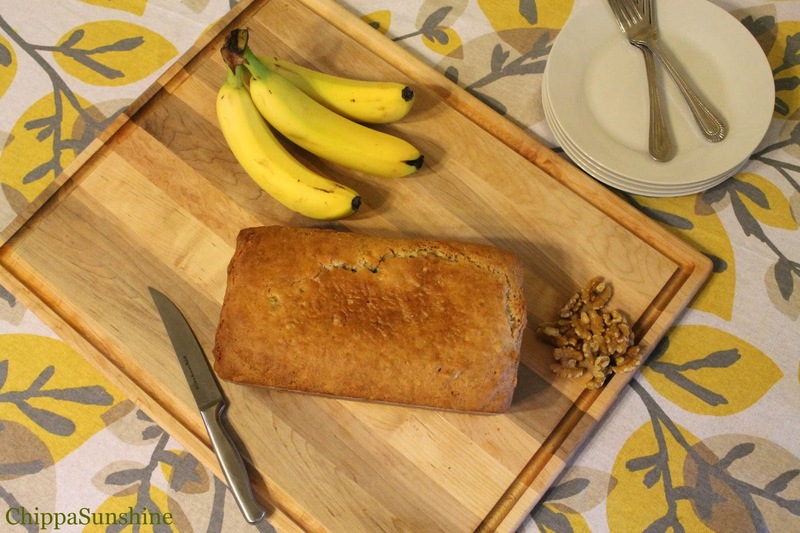 The aroma of fresh banana bread filled the house and it smelt delightful. The bread is slightly sweet but not too sweet. It is hearty but has the essence of cake. 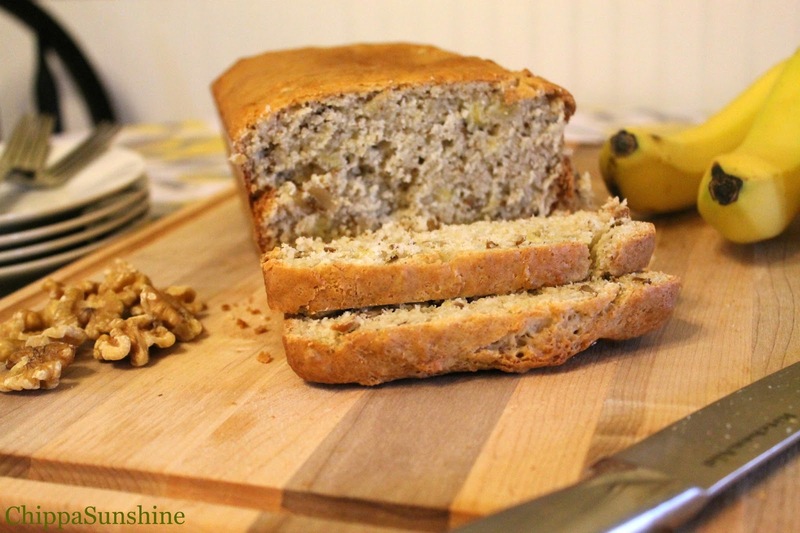 The walnuts add a nice crunch to the bread. Its simply delicious and is perfect for either a snack, breakfast or a lite dessert. Preheat oven to 350 degrees Fahrenheit. Grease and flour a 9 x 5 loaf pan. In a large mixing bowl, whisk together the flour, baking powder and salt. Set aside. In a separate bowl, combine the sugar, milk, egg and mashed bananas. With a rubber spatula or wooden spoon, fold the banana mixture into dry ingredients and chopped walnuts just until combined. Pour into prepared loaf pan and bake for 55 minutes or until toothpick comes out clean. Do not over mix. You do not want the batter smooth. Over mixing the batter will yield a tough, rubbery bread. To ripen bananas quickly, put them into a paper bag and fold down the top. The bananas should ripen in 2 days. If the toothpick doesn't come out clean, bake for an additional 5 minutes and check again. I hope you try it out for yourself. See ya soon! Linking up with Thirty Homemade Days, Shabby Nest, Between Naps on the Porch & 33 Shades of Green! 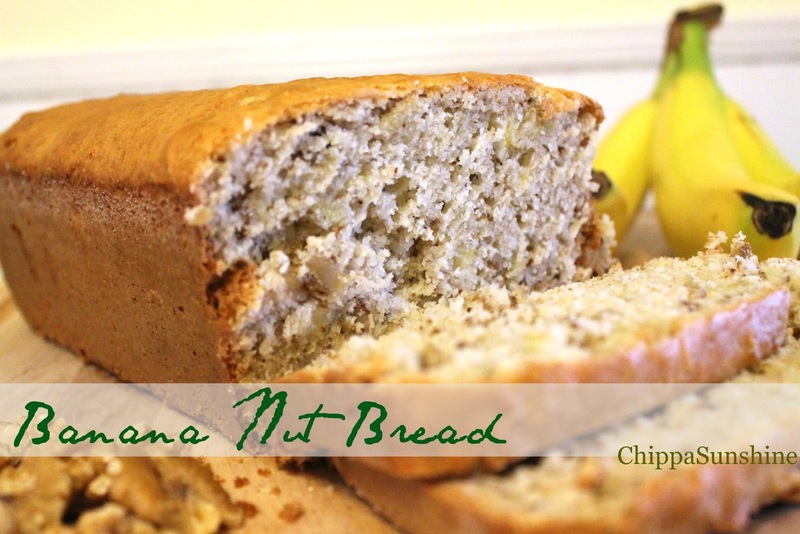 I'll have to try out this recipe very soon, maybe this weekend I just bought a bunch of bananas last night! Let me know how you like it. I made it just like my friend suggested but I have noticed that some people use butter instead of oil and that they add vanilla. I haven't played with the recipe but I am curious.